Playing Court: 1/8”thick MDF with white hard PVC painted playing lines. Top rail and Aprons: 1-1/4”*2-3/4” and 6”*3/8” MDF with gray PVC. Leg levelers: 120mm Black Plastc with chrome leg levelers. 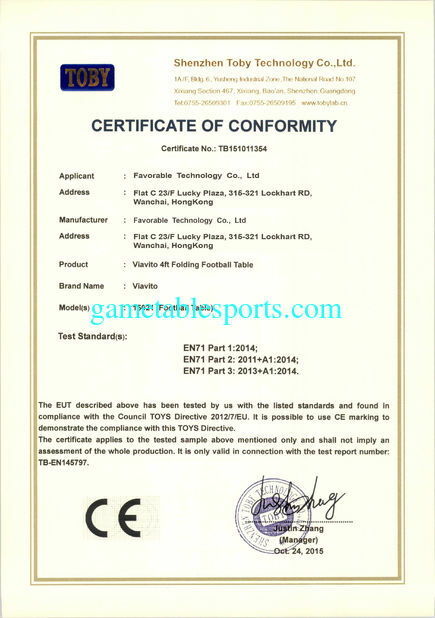 Electronic scorer: Manual scorer on the both of the side top rails. 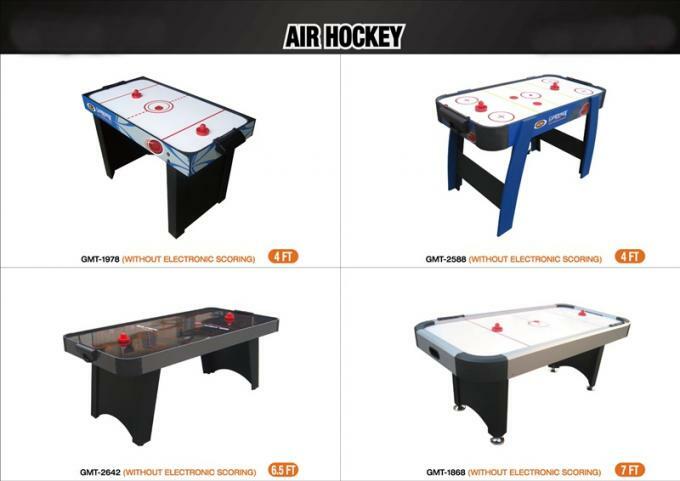 Air hockey burst onto the scene in 1972 when it was first released for public play by the Brunswick Billiards company. 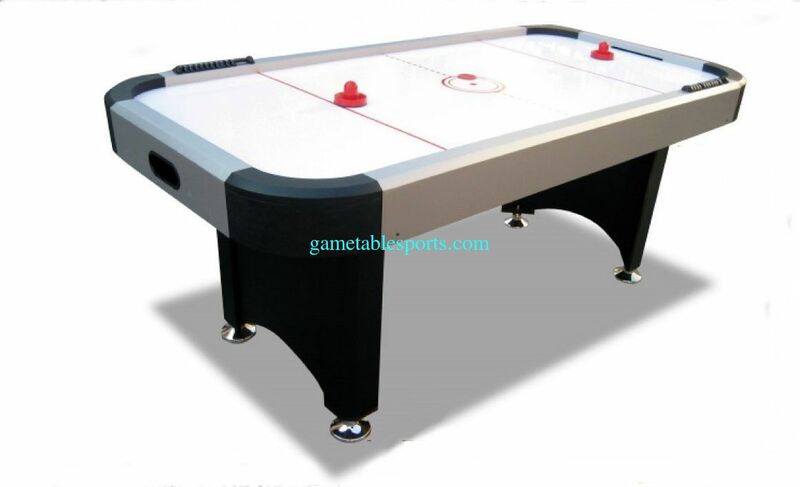 Within a few years, air hockey tables could be found in bars and arcades throughout the USA and public tournaments took place in cities across America. the puck to your opponent. Your opponent has seven seconds to return the puck or the puck should be given to you manually. Protect your goal constantly and hit the puck toward your opponent’s goal at every opportunity available. Give the puck to your opponent if you hit the puck and cause it to leave the confines of the table. Win the game by being the first player to score seven points. Keep the mallet about 8 inches in front of the goal for defenseand move the mallet to the corner of the goal nearest the side where the puck deflects.Hold the mallet on the back side with two or three fingers to give your shots more wrist action and speed as compared to holding the top of the mallet in the palm of your hand. Penalties are caused by touching the top of the puck with the mallet. If you do this give the puck to your opponent. Never touch the puck with any part of your body or clothing during the game once the puck is in play. If you do, you must give the puck to your opponent. Stopping a puck headed toward the goal with anything other than the mallet results in a free shot by your opponent. If you knock the puck into the goal you are guarding, your opponent receives a point. Below are our New tables for your kindly reference!